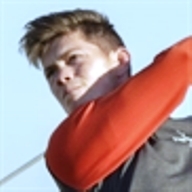 Five Scots hope to take a step nearer the European Tour Final Qualifying School by advancing from this week's Stage 1 Section D eliminator at Bom Sucesso Golf Club, Obidos, Portugal. It begins on Tuesday and ends on Friday. There is no official indication as yet just how many will qualify for the next stage but it is generally in the mid-20s. The Scots in action will be Craig Lawrie, Sam Kiloh (pictured), Michael Stewart, Daniel Young and James Ross.